23 1/2" x 7 1/4"
Add a touch of elegance to your buffet presentation with the Tablecraft R169 15 1/2" x 9 1/4" rectangular tray, from the Remington collection. Constructed from beautiful 18/8 stainless steel, this tray is ideal for presenting salads, appetizers, entrees or for displaying other culinary creations. Tablecraft RWB119 Remington 4.5 Qt. Round Double Wall Stainless Steel Bucket with Handles - 9" x 10"
Tablecraft RS2132 Remington Round Beverage Stand with Handle - 16" x 32"
Tablecraft RPD2415 Remington Rectangular Stainless Steel Tray - 23 1/4" x 15" x 1"
Tablecraft RB9 Remington 3.25 Qt. Round Stainless Steel Double Wall Bowl - 9 1/2" x 5"
Tablecraft R1811 Remington Collection Rectangular Double Wall Stainless Steel Tray - 17 3/4" x 10 1/2" x 2 1/2"
Tablecraft RB13 Remington 8 Qt. Round Stainless Steel Double Wall Bowl - 12 3/4" x 7 1/2"
Tablecraft RB11 Remington 5 Qt. Round Stainless Steel Double Wall Bowl - 11 1/4" x 6 1/2"
Tablecraft RB184 Remington Collection 5 Qt. 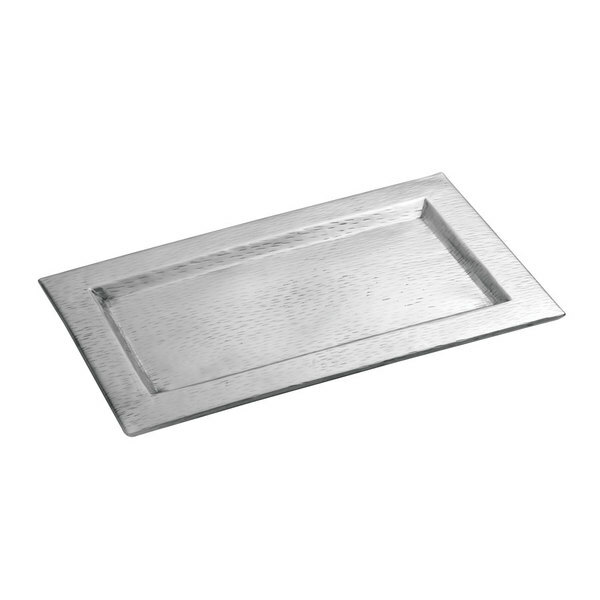 Round Double Wall Stainless Steel Bowl - 17 3/4" x 3 1/2"
Tablecraft R2013 Remington Collection Rectangular Double Wall Stainless Steel Tray - 19 1/4" x 13" x 2 1/2"